RHA launches CL2 Planar, the ‘world’s first’ planar magnetic wireless headphones | What Hi-Fi? The twist: these wireless buds can transform into wired headphones too. According to RHA, its CL2 Planars are built around the most compact planar magnetic driver ever released. The 10mm driver - developed by RHA’s product team and inspired by the aerospace and jewellery industries - comprises a planar coil and 16 micrometer diaphragm suspended above two matched magnetic fields. 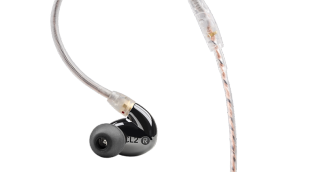 The team has used Zirconium dioxide (a molecular structure used to protect jet engines) to create what the company is calling ‘near-indestructible’ housings for the CL2 Planar, which make up the design alongside detachable, braided cables (3.5mm or balanced 2.5mm) for wired listening, and a Bluetooth neckband for wireless listening. The new version of RHA’s aptX Bluetooth SecureFlex neckband provides 12 hours of wireless playback from a single charge, and features a universal remote allowing users to control playback and calls with a touch of a button. The neckband can also be set up to vibrate to signal incoming calls, and launch your phone’s voice assistant allowing so you can send or read messages without touching your phone. The CL2 Planars come with a flight case, carry pouch, a USB-C charging cable, flight adapter, and several choices of silicone and Comply Foam ear tips. As usual, innovation doesn’t come cheap. The RHA CL2 Planars are luxury in-ear headphones, available to pre-order now for £800. We look forward to getting our eyes and ears on them next week as they enjoy their world debut at IFA 2018.